Most thrilling word game about a mysterious bank heist! Plan the biggest and most challenging bank heist of your life. 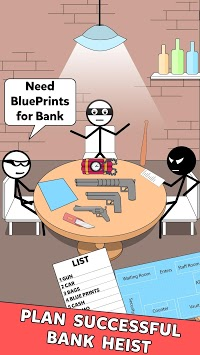 Share the bank robbery plan with your gang members and implement the secret word game plan. The more difficult part of the heist is man escape after robbery. If you get caught you will be imprisoned in Alcatraz prison for life time and never get the breath of freedom. Type correct words to win the game! Observe the plan, think and guess the each new word to complete story levels. Build your vocabulary and problem solving abilities with this best word puzzle games. Follow hints and clues in each level to guess the word to implement the plan. Day after day the word riddles get more and more challenging and complicated, word gamers don’t worry you will also get free hints to solve the mystery of great escape game. Dodge police patrols, pass the security camera and scanners to enter the city richest bank. Pass through different rooms and reach the vault room to collect the heist money. Fill money bags and choose the most innovative ways to escape the strange rooms. Keep in mind prison is not a good place and prisoners don’t get much respect. - Best word puzzle game with free hints. 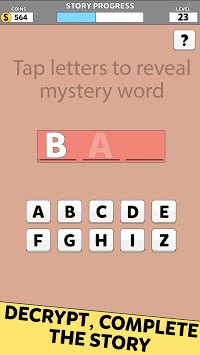 - Exciting storyline keeps you attached with word riddles. - Thrilling game play training to become word master. - Play offline for free. - Improve your vocabulary, logic skills and problem solving. - Experience a lot of drama story and adventure. 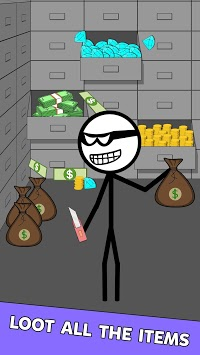 Now download this bank robbery word mystery game and have fun time!